Ferocity. Fearlessness. These are the words that would describe them. These are what you see looking at their eyes. They claim they were unconquerable, they are the Pinoy Moro Warriors. 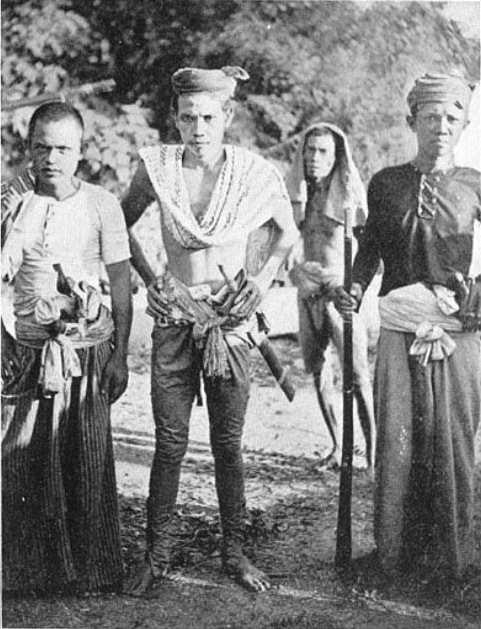 Centuries and centuries ago, all throughout the world, the Moro warrior has that fearsome reputation. The Moros against the Crusades, Moros against the Spaniards, Moros against the Philippine colonists. Didn't they ever learn? It is the question that runs in mind. Why are the Moro warriors unconquerable? They are known not to give in, proud, and very traditional and perhaps there lies their strength and durability. 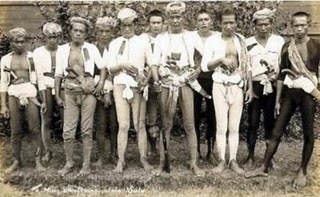 Imagine hundreds of years of resistance of Spain in Mindanao. There was no Spanish occupation, only years of war. Even Americans. When they said "Halt!" the guns say halt too, but the Moro warriors kept going! 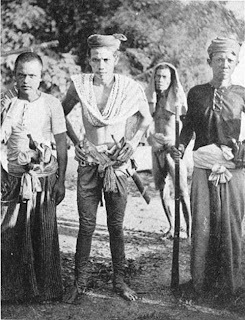 According to stories, during the American campaigns in Mindanao, it took a lot of bullets to stop a rushing Moro warrior and most of the time taking an enemy with him when he goes down. Panglima Hassan, as historians say was stopped on the 33rd bullet that hit him! Had he not been hit on the head, he would have charged on and on. He should have retreated after being hit by the 20th bullet. So he can claim being "bulletproof." It would scare the hell out of those Americans when he attacks next time.